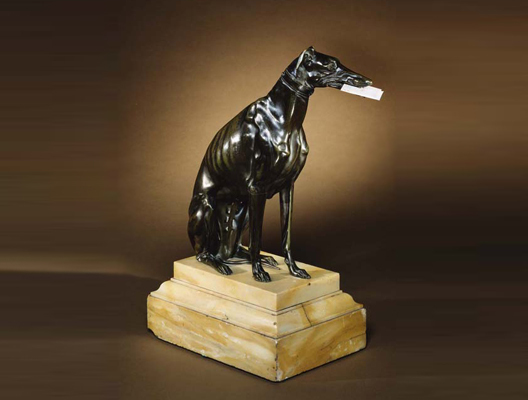 A nineteenth century bronze whippet visiting card holder on a rectangular marble base. 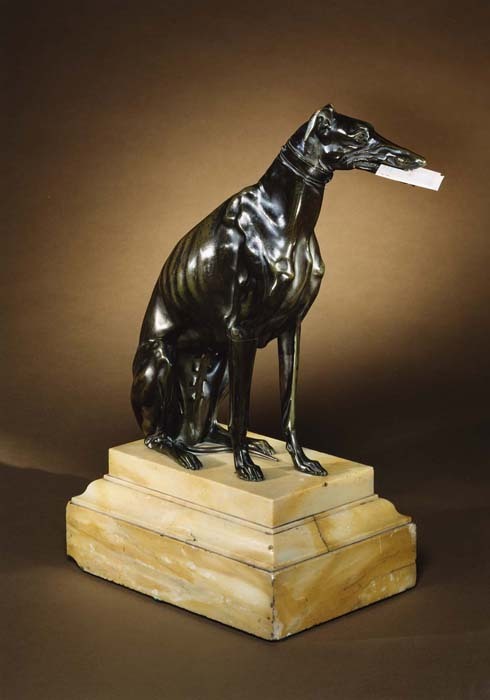 Height (with base) 18in (45.7cm). Size of base: Width 10 5/8in (27cm). Depth 7 1/2in (19cm).